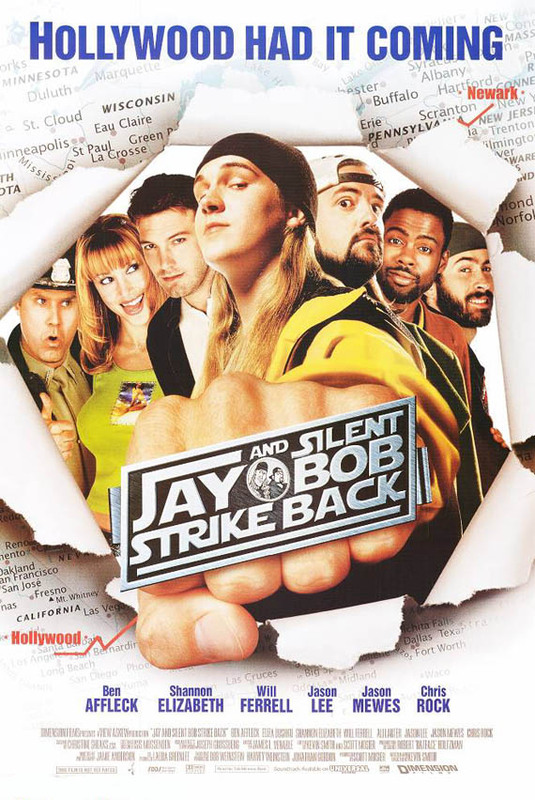 Grand satire and slapstick comedy OK, Jay and Silent Bob, I love yous guys. I lives near ya in Joyzee, but I never gets to see ya -- except once across the street from yer store. But I saw yer movie. Loved it. 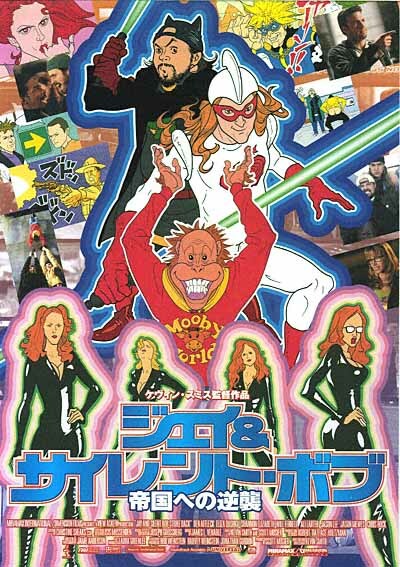 Now, to be more sophisticated -- about this movie??? We learn at last the evolution of Jay and Silent Bob from their earliest days in the strollers to their great success as American myths. This is lovely satire -- of Hollywood, of themselves, of life. Yes, it reveals the meaning of life. Or was that DOGMA? Well, the canon of J &, SB is always about what it means to exist -- in our time -- on our planet -- in our cosmos. Heavy, dude! After all, this is the classic journey epic -- rags to riches, Jersey to Mirimax. Kevin Smith loves George Lucas. Can you tell? He even has Princess Leah and Luke Skywalker along for the ride this time -- plus an allusion to Han Solo in THE FUGITIVE. (Yeah, I know, Han Solo wasn't in THE FUGITIVE, but you know what I mean.) Not to kiss up or anything to J &, SB, but I see in them the classical strains of the Marx Brothers, the 3 Stooges, Abbott &, Costello. And they even remember the audience in asides that are reminiscent of Shakespeare -- or a Bugs Bunny cartoon. Like, man, these guys remember that we're out there in the dark theater -- all those wonderful people out there in the dark. I'm ready for my close-up now, J &, SB. I had a cow watching this film. Go see it. You'll like it -- unless, HORRORS, you don't like J &, SB.